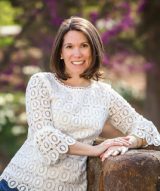 Lila Guzmán is an “author of young adult novels about the American Revolution, children’s fiction and nonfiction, and short stories.” Her latest releases are Lorenzo and the Turncoat (Arte Público Press, 2006) and Kichi in Jungle Jeopardy, illustrated by Regan Johnson (Blooming Tree, 2006). 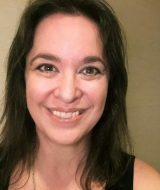 She offers a critique service and is based in the Austin area. Learn more about Lila and Rick Guzmán from Arte Publicio Press. What is it about writing, storytelling that calls to you? I was raised in Kentucky and remember my grandfather’s stories–some of them true, some of them complete fiction. He could spin a yarn and keep the audience fascinated by every word. Kentuckians can talk…and talk…and talk. Storytelling was second nature to me. What put you on the path to publication? My husband, Rick. By 1993, I had published two translations of Galdós novels from Spanish to English. Rick said that I should consider writing my own material. 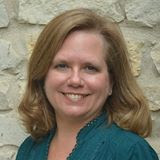 I joined the Austin Writers League (now the Writers’ League of Texas) and started attending Novel in Progress workshops. Six years later, I had a publishing contract on Lorenzo’s Secret Mission (Arte Público, 2001). What were the ah-ha moments? Discovering Christopher Vogler’s Writers Journey: Mythic Structure for Writers (Michael Wiese Productions, 1999)[look for second edition] and the paradigm of the Hero’s Journey changed my writing forever. If I have trouble with a piece of fiction, I look back at the Hero’s Journey to see what I have forgotten. Any memorable sprints or stumbles along the way? When Rick and I sent Lorenzo’s Secret Mission out to literary agents, they did not “get it.” We became discouraged because we knew that no one had written about the Spanish role in the American Revolution. At Rick’s suggestion, we sent it to two Texas publishers. Shortly thereafter, we had two contracts in hand and decided to go with Arte Público. For those new to your work, could you briefly highlight some of your recent titles? Lorenzo’s Secret Mission (Arte Público, 2001); Lorenzo’s Revolutionary Quest (Arte Público, 2003); Lorenzo and the Turncoat (Arte Público, 2006); Lorenzo and the Pirate (forthcoming). The Lorenzo novels focus on the Spanish contribution to the American Revolution. In Lorenzo’s Secret Mission, readers meet fifteen-year-old Lorenzo Bannister, as he becomes drawn into the battle for colonial independence while delivering a message from his dying father. For his next adventure (Lorenzo’s Revolutionary Quest), Lorenzo, now sixteen, goes on a secret mission to drive cattle from the Province of Texas to Louisiana. 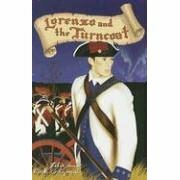 Lorenzo and the Turncoat (set in 1779) shows that history does indeed repeat itself. A powerful hurricane levels New Orleans in August 1779 as Bernardo de Gálvez prepares to attack the British in Baton Rouge. Lorenzo’s fiancée Eugenie is missing. All the information in the “Lorenzo” series is based on fact. Spanish involvement in the American Revolution is rarely discussed in our history books. Other novels include: Kichi in Jungle Jeopardy (Blooming Tree, 2006). A sacred blue chihuahua in ancient Mayan times braves the dangers of the jungle to rescue a kidnapped slave boy. With Lorenzo and the Turncoat, what was the timeline between spark and publication, and what were the major events along the way? 1996: Rick finds the subject for the series while cruising the Internet. 1998: Lorenzo’s Secret Mission is finished in June. We start sending queries out to New York agents. 1998: It is now December and we have received “good” rejections, but rejections nonetheless. Rick suggests sending the manuscript straight to publishers. We pick out two: Eakin Press and Arte Público Press. 1999: April. Eakin Press accepts the manuscript. I pick up the phone and tell Arte Público that we have an offer for the manuscript. A few hours later, I get an email from Arte Público saying, “We want this manuscript. Don’t do anything.” So, in a state of complete euphoria, we wait for a contract. We now have two offers on the book. We compare contracts and we decide to go with Arte Público Press. 2001: October. Lorenzo’s Secret Mission is released. It is nominated for Book of the Year (Young Adult) by Foreward Magazine. 2002: September. Lorenzo’s Revolutionary Quest sees the light of day. 2003: Lorenzo’s Secret Mission wins an award with the Arizona Authors Association. 2004: Lorenzo’s Revolutionary Quest in an award winner (Arizona Authors Association). 2005: Lorenzo’s Secret Mission is a finalist for the Western Writers of America Golden Spur Award. A historical novel is a challenge on many levels. Lorenzo and the Turncoat is set in 1779 New Orleans and Baton Rouge. That meant knowing the larger picture: the names of streets, the laws in effect, society in general. Luckily, I love research. Rick and I both know Spanish and French, a prerequisite for writing about 18th century Louisiana. The bad part is finding all the information. Sometimes, we simply have to give up. In Lorenzo’s Secret Mission, I never found the names of “Gibson’s Lambs.” Most of them were illiterate men on a secret mission. Likewise, I could not find a description or a picture of William Linn, a lieutenant in the Continental Army in 1776. I had to invent personalities and physical characteristics out of nothing. It is easier to write historicals nowadays, with the Internet at my fingertips. It puts me in instant contact with re-enactors, historians, and other experts. When I needed to send a picture to Arte Público showing the uniform of a Spanish soldier in Galvez’s army, I contacted a friend in Louisiana. He sent me a picture from the Baton Rouge Advocate showing him and other re-enactors in uniform. I emailed the picture to Arte Público and the editor there sent it on to the cover artist. I frequently travel to Louisiana for school visits and other book events. Even so, I find that I do most of my “traveling and research” for the book online. In Lorenzo and the Turncoat, a hurricane devastated New Orleans in August 1779. Online, I found a pre-Katrina website that had a streaming video of what a storm surge would do to St. Louis cathedral and the Ursuline Convent. When writing the scene where Lorenzo nearly drowns in the storm surge, I used that video. By the way, that brings up one of the difficult parts of writing historicals. In 1779, there was no St. Louis Cathedral. It was “St. Louis Church,” a structure that burned down in the 1788 New Orleans fire. At the beginning of the book, I had to put a historical note because I did not want people to “see” St. Louis Cathedral. What should a writer consider when crafting more than one book with the same protagonist? Each book in a series should stand alone. A reader should be able to read the books out of order and still understand what is going on. Lorenzo has to face new challenges in each book and must grow as a character. He is a man of honor who always does the right thing. That often puts him in danger and in difficult situations. One challenge is that Lorenzo will age from 15-22 years old in the series. The series spans 1776-1783. At the end of the third book, Lorenzo is 18 years old and marries Eugenie. We had intended for them to wed at the end of the book, but readers wanted to see them married sooner. So their courtship came to an end. The author should not repeat plots. In one book, Lorenzo is on a flatboat. In the next, on a cattle drive. In the third one, he is surviving a hurricane and fighting the British at Baton Rouge. You’ve done a lot of collaborative work with your husband Rick. What do each of you bring to the equation? What are the particular challenges and benefits of being married and creating books together? Rick describes himself as “the concept guy.” He originally discovered the topic for the Lorenzo books and wrote the initial outline for the entire series. When we start a new book, we talk about each character’s goal and personality. Then we plot the action. You have another new release, Kichi in Jungle Jeopardy, illustrated by Regan Johnson (Blooming Tree, 2006). Congratulations! Could you tell us about this book? Kichi, a rare blue Chihuahua, has lived his whole life pampered by Fortune-Teller at the Temple in the Mayan city of Chilaam. When Fortune-Teller’s brother captures a new slave from a rival city, Kichi cannot believe his luck. The new boy speaks Dog! Just as Kichi makes a new friend, raiders attack Chilaam and kidnap the boy. Kichi must brave the dangers of the jungle to save his friend. Kichi meets wise-cracking sea gulls, devious monkeys, a speech-impaired jaguar, and a host of jungle animals and plants as he makes his way through the jungle. What do Regan’s illustrations bring to your text? Regan’s drawings are spectacular! What a wonderful addition her artwork is. Miriam Hees at Blooming Tree Press (publisher interview) told me that I would be thrilled with the artist and her artwork. Was I ever! The setting and time period (pre-Columbian Mayan civilization) is unfamiliar to most people. Regan’s drawings of temples, Mayans, animals, and vegetation help the reader visualize an unfamiliar setting and time period and set the mood of the book. The book cover is a masterpiece and shows all the plants and animals that Kichi meets. You offer a critique service. Could you tell us how it is structured, and what is offered to your clients? I have very little time between my own writing and marketing novels, so I am very selective when taking on clients. However, I understand the Catch-22 that most new novelists face. They take workshops, study the craft of writing, produce a first novel, then face rejection after rejection. 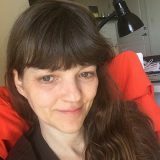 They wonder what is wrong with the novel and need a published author to read it, offer constructive suggestions to improve it, and help them shape it into a desirable product. The problem is–most novelists are up to their eyebrows in work. Gone are the days when an editor at a publishing house worked with a promising new writer. Now, a writer must present a picture-perfect manuscript. I work closely with writers in a long-term relationship to make their fiction the best product possible. I prefer to work with budding writers who are open-minded and willing to rewrite. A novel is not written. It is re-written. I am looking for fiction writers who have studied the craft and are serious about writing. I prefer the following kinds of fiction: Adult, Young Adult, Juvenile. Query letter. Synopsis. No picture books. No pornographic material, please. Contact me at lorenzo1776@yahoo.com so we can chat for a bit before sending me a manuscript. I take on five writers a year. Sorry. That’s my limit. I have my own writing to do. I charge $3 per page. A manuscript must be in Courier 12 font. My typical turnaround time on a novel is four weeks. I do a line edit and also edit for content. Decide on the kind of writing you want to write. Then, read, read, read. Join your local writers group. A small critique group is a “must have.” Write every day, even if it is only for ten minutes. Set goals. Concentrate on one project at a time. How about those authors building a career? Listen to the advice of other published authors in the field. Network with other writers. Look for opportunities to promote your latest book. Don’t expect the publisher to do all the marketing. You have to promote your latest production aggressively while writing your next masterpiece. Above all—PLAY NICE WITH OTHERS. How about those interested in historical fiction? Become familiar with all aspects of the time period. What peculiar customs existed at the time? What did people eat? What did they wear? When they stubbed their toes, what did they say? Make the time period come alive. Ideally, the reader will become lost in the novel and will feel like he or she is actually there. Read documents written at the time. That includes historical documents, diaries, drawings and portraits. Find the people interested in your time period and contact them. People love to share their knowledge and passion for a particular time period. For the American Revolution, for example, meet re-enactors, people who are members of the Sons of the American Revolution and Daughters of the American Revolution. What historical associations and genealogists are in your area? As a reader, what are some of your favorite recent reads? Twilight by Stephenie Meyer (author interview), Long Gone Daddy by Helen Hemphill (Front Street, 2006), The Demonata Book 1: Lord Loss by Darren Shan (Little Brown, 2006)(author notes), and The Lightning Thief by Rick Riordan (Hyperion, 2005)(author interview). Lorenzo will ride again…and again…and again. In his next adventure, Lorenzo and the Pirate, he boards a pirate ship to render medical assistance and finds himself in a naval battle between the pirates and the British. He is shipwrecked on the island of Cozumel with an amnesiac pirate. Lorenzo’s Buried Treasure. In 1780, Lorenzo searches for a treasure chest filled with $20,000 in silver and is captured by the British. He is held captive on the infamous prison ship, the Jersey. Lorenzo’s Battle. When General Gálvez attacks the British at Pensacola, Lorenzo is by his side. Lorenzo at Yorktown. Lorenzo faces old foes during the final battle of the American Revolution. Lorenzo at Valley Forge backtracks a bit and takes our hero to that miserable winter when Washington’s forces were hunkered down in the Pennsylvania countryside. Lorenzo’s friend, Red, is killed in the massacre at the Hancock House (New Jersey). Lorenzo’s 355 tells the story of Lorenzo’s association with “355,” Washington’s female spy. I have been addicted to backgammon for years and often play it online. Swimming is my main exercise. Sometimes I take my dogs, Lucy and Chance, for a walk. See more author/illustrator interviews and learn about Texas children’s book creators. Author Interview: Shirley Smith Duke on No Bows!